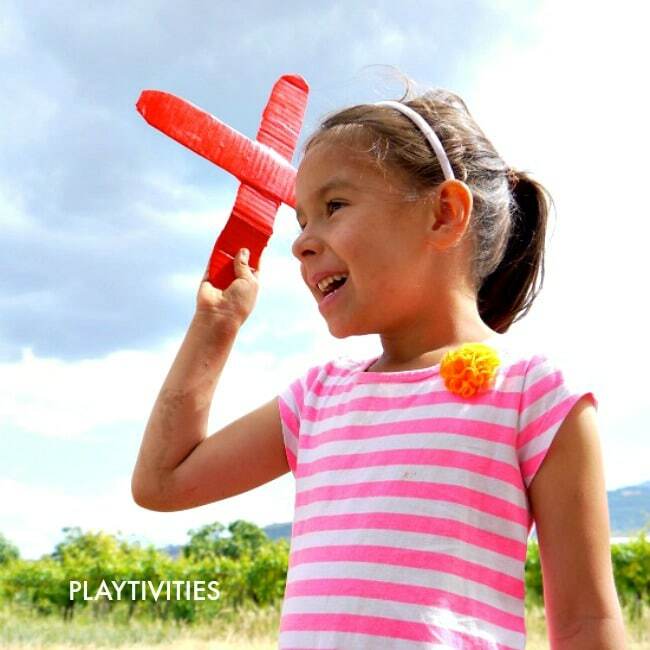 Flying Boomerangs is a fun activity for all ages. It’s a great active outdoor game that families can play together. How about instead of going to the store and buying a boomerang, you can offer your children to make one. This way they will have a chance to see and understand how boomerangs work. 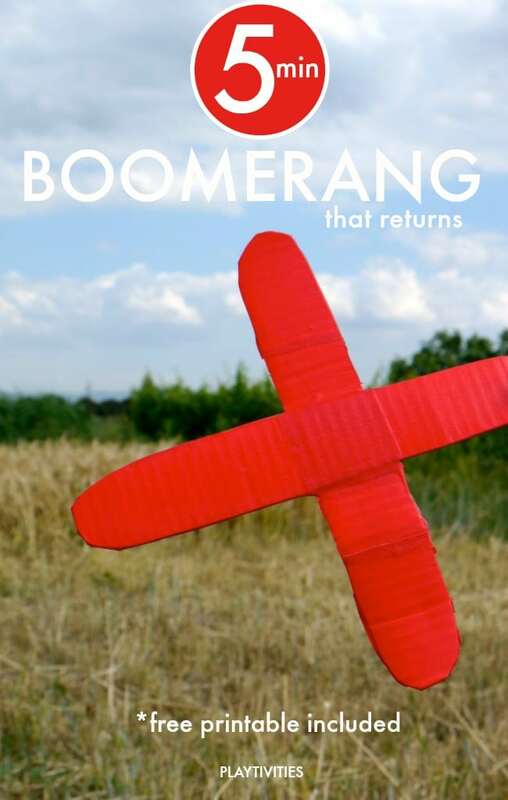 Boomerangs are made from different materials and are sold everywhere. But the one we made from cardboard is pretty fast and flying super high. 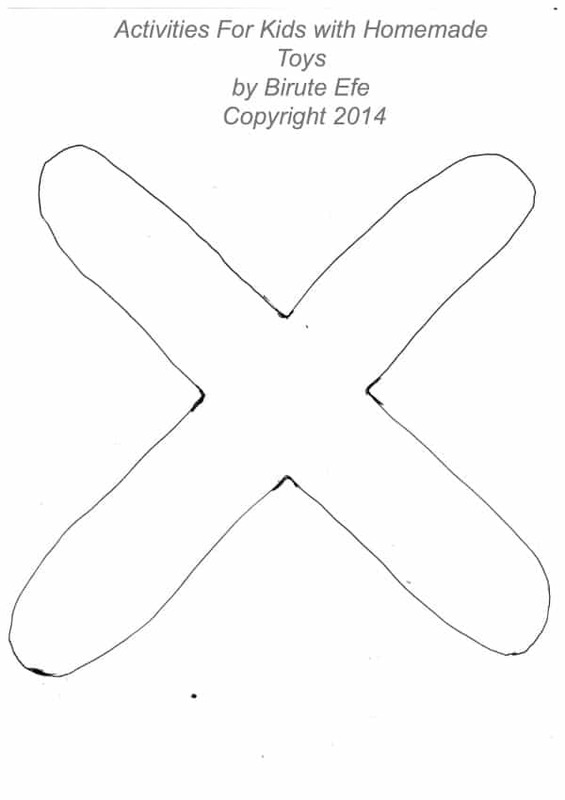 For your convenience use the Boomerang Printable to print the shape of the boomerang. After you print it, cut the boomerang shape with scissors and put it on the cardboard so you can trace it around. Now you can cut the boomerang shape out of cardboard. After numerous tries and experiments we found that boomerang taped with duct tape (or any tape) flies best. Now all you have to do is find an open space and not very windy weather and fly the boomerang away… and back. If your cardboard is thin, double or even triple the layer. Throw boomerang only when it’s very slow breeze outside for best results. Throw the boomerang vertically in front of you, using your wrist.